No perpetrator can escape the combined brilliance of this elite force! Unit Chief Jack Garrett and his international response team have returned for a brand new season on AXN. The top rated drama series follows the global investigative adventures of the specialized International Division of the FBI tasked with solving crimes and coming to the rescue of Americans who find themselves in danger while abroad. Heading the International Response Unit is Unit Chief Jack Garrett (Gary Sinise), a seasoned 20-year veteran of the Bureau. 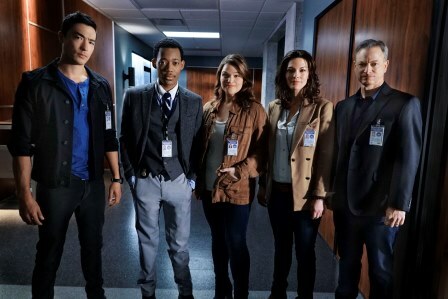 The team he trusts with his life includes Clara Seger (Alana De La Garza), a smart, well-traveled and multi-lingual cultural anthropologist, Matthew Simmons (Daniel Henney), a former military hero with split-second profiling skills he honed on the battlefield, Russ "Monty" Montgomery (Tyler James Williams), the unit's compassionate, brilliant tech analyst who additionally liaises stateside with the families of those in trouble while his group is far from home, and Mae Jarvis (Annie Funke), the team's fearless and fun medical examiner. These exceptional agents are dedicated to safely returning U.S. residents home by profiling and identifying criminals who are beyond the U.S. border.